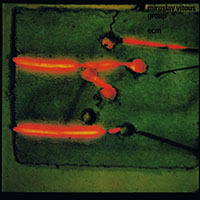 Miroslav Vitous played music with his brother Alan and Jan Hammer while attending the Prague Conservatory, and played in a Dixieland band with trumpeter/singer Jiri Jerinek. Winning first prize in an international music competition in Vienna gave Miroslav the opportunity to study in the U.S., at Berklee College of Music. It was during this time that he was asked to play in Cannonball Adderley's group, but turned it down in order to complete his studies at Berklee. In the summer of 1967, Miroslav moved to New York to get involved in the vibrant music scene of the mid-sixties. What many people may not know is that Miroslav was ranked as a top Olympic contender in free style swimming. He was on the international team going into the Olympic team from Munich. The discipline and strength required to excel in athletics transferred into his determination in music. He has admitted to the similarities of athletics to music, for example, when you hit a wall, and have to have the internal drive to keep going despite difficulties or setbacks. We can all imagine how difficult Miroslav must have had it - coming to the New York from a Communist country, by himself. His having made an impressive career both in his solo work as well as numerous collaborations, will perhaps be inspirational to other aspiring young musicians in Czechoslovakia, and elsewhere. When Miroslav came to New York in 1967 he had the opportunity to play with a host of great musicians such as Art Farmer, Freddie Hubbard, Bob Brookmeyer, Stan Getz, Herbie Mann, Miles Davis and Chick Corea, to name a few. 1967 was also the year when America lost one of its jazz legends: John Coltrane. Coltrane had been a significant force in moving jazz to its free form, away from the hard bop, modal method of the fifties. Many performers during this time started integrating rock and free-form improvisations into their music. There were some rock influences, as well as experimentations with electronic instruments which were evident in many albums during this period. This is how fusion had its start, which may be broadly defined as the juxtaposition of numerous genres such as rock, funk, electronics and technology. Miles Davis is considered to a very influential catalyst to the fusion style. From many of Miles' collaborators came the first wave of fusion musicians, such as Herbie Hancock, John McLaughlin, Chick Corea and Stanley Clark. One of the most celebrated fusion bands formed in 1971, was Weather Report. The musicians included saxophonist Wayne Shorter, pianist Joe Zawinul and Miroslav on bass. Other members included Airto Moirera and Alphonse Mouzon, who contributed to their first two albums, 'Weather Report' and 'I Sing the Body Electric'. Within these albums are evidence of experimentations with electronic effects on the bass as well as electric piano and organ. Miroslav played his bass upright, which he does to this day. The sounds eminating from the bass produced a horn-like vocal quality. These albums were characterized by very fluid arrangements and a highly improvised style. The result of being able to compose with the electronic samples, brought about the release of the album 'Universal Syncopations'. 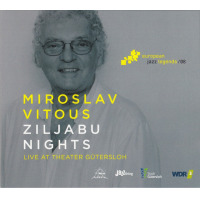 Miroslov knew beyond a doubt that Jack DeJohnette would be his drummer, since Jack was his favorite drummer for several decades and had participate in many collaborations. John McLaughlin was chosen for the work that he had done with Miles Davis in the seventies, and Miroslav wanted to tap into that evolutionary style and to take it up a notch. Chick Corea has asked for Miroslav's help on many of his previous albums, so this time it was Corea who was asked to collaborate. Jan Garbarek is Miroslav's favorite sax player, and they have an intuitive musical connection. This particular work captures the creative force in the sounds and motifs, and justaposes jazz and classical styles in a very open and free way. 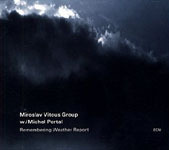 UYS - Miroslav Vitous & Jean-Luc Ponty interviews. All About Jazz musician pages are maintained by musicians, publicists and trusted members like you. Interested? 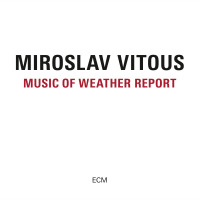 Tell us why you would like to improve the Miroslav Vitous musician page.